Sarah Goslee Reed, 7:30 p.m.
Friday night we start the weekend with singer songwriter Sarah Goslee Reed. 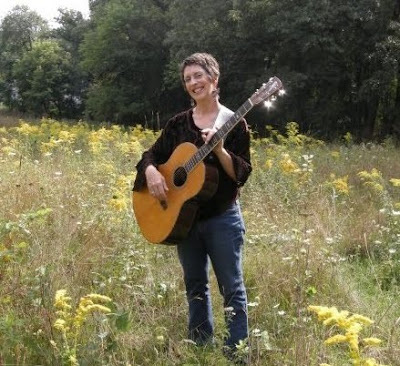 Sarah Goslee Reed will be performing at the Clifton Opera House on March 11th at 7:30 p.m.
Sarah is a singer/songwriter who lives in Mount Vernon, Ohio. She has been performing in the area for over 20 years, has recorded CDs for both children and adults and has worked with almost every elementary school and library in town. The children of Mount Vernon are very lucky to have such a talent in their midst! Clifton Opera House, located in Greene County, is owned and operated by the Village of Clifton as a not for profit fund raiser. All proceeds are used for the maintenance and repairs to the historic buildings in Clifton. Stay logged onto the Blog as we will be posting information on Saturday and Sunday shows at COH over the next couple days.